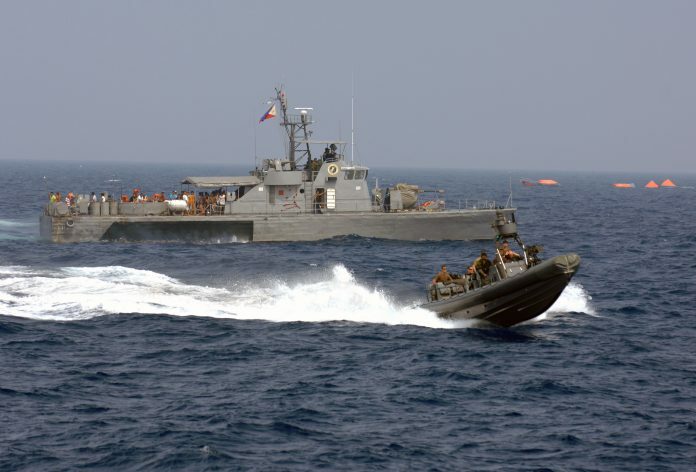 The Philippines Navy’s BRP Dionisio Ojeda was originally in service with the ROKN before its transfer to the former in 2006. The ship was formally commissioned with the Philippines Navy the following year. In a region where traditional and non-traditional threats are constantly changing littoral security needs, the demand for Fast Attack Craft (FAC) which provide speed and striking power at a cost most navies can afford continues unabated. AMI International, a naval consultancy based in Bremerton, Washington State, define FACs as displacing under 700 tons, being capable of speeds of circa 25 knots (46.3 kilometres-per-hour) and possessing anti-surface warfare capabilities. However, such vessels can lack range as their travelling distances (the time it takes to reach an incident and return) rarely exceed 86 nautical miles/nm (160 kilometres/km), and are restricted to operations below Sea State 3 where maximum wave heights of 1.2 metres/m (3.9 feet) occur. Typically, such vessels perform hit and run operations at ranges of circa 86.8 nautical miles/nm from the coast. The reality of the traditional and non-traditional threats facing Asia-Pacific countries today, such as the territorial and maritime disputes including several actors in the East and South China Seas, and the ongoing scourge of maritime piracy in the Strait of Malacca between the Malay Peninsula and Sumatra, shows that: “FACs have evolved to better fulfil traditional coastal defence missions as well as to join networked naval operations well beyond the horizon,” says Rick Fisher, senior fellow at the International Assessment and Strategy Centre, a think tank based in Alexandria, Virginia. FACs are now key assets supporting asymmetrical naval warfare because, while they are not meant for blue water operations: “A navy possessing many FACs can swarm enemy boats on all points of the compass,” says Matthew Caris, a senior associate at Avascent, a consultancy based in Washington DC: “and even dart in and out from behind larger ships,” thus adding an element of surprise. As such, FACs are constantly evolving to respond to changing security needs and there is debate within the naval community around the world, whether this is influencing their designs to such an extent that they are increasingly taking on the characteristics of small corvettes. 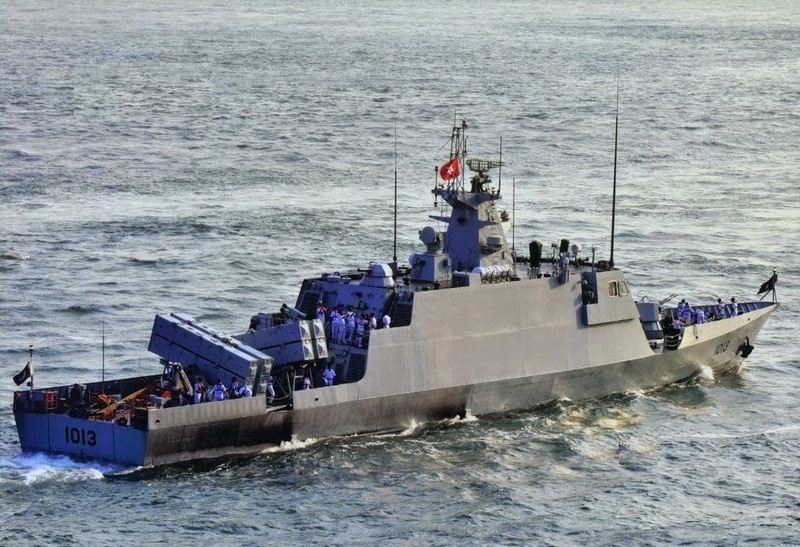 Traditionally corvettes, which displace between 500 and 2000 tons, are the smallest type of warship capable of supporting blue water naval operations. India’s Exclusive Economic Zone (EEZ) stretches 200nm (370.4km) along its 4058.3nm (7516km) coastline. The International Maritime Bureau’s (IMB) Piracy and Armed Robbery Map shows that a number of maritime piracy attacks regularly take place along the coastline of the state of Gujarat, on India’s west coast, and in the Bay of Bengal on India’s eastern coast. India also has to face the potential threat of insurgents reaching the country via its shores. As such, the Indian Navy (IN) already operates a fleet of eleven Garden Reach Shipbuilders and Engineers (GRSE) ‘Car Nicobar’ class FACs. These vessels were commissioned between 2009 and 2011, with their construction accelerated following the 2008 attacks against targets in Mumbai perpetrated by the Lashkar-e-Taiba Islamist insurgent movement. 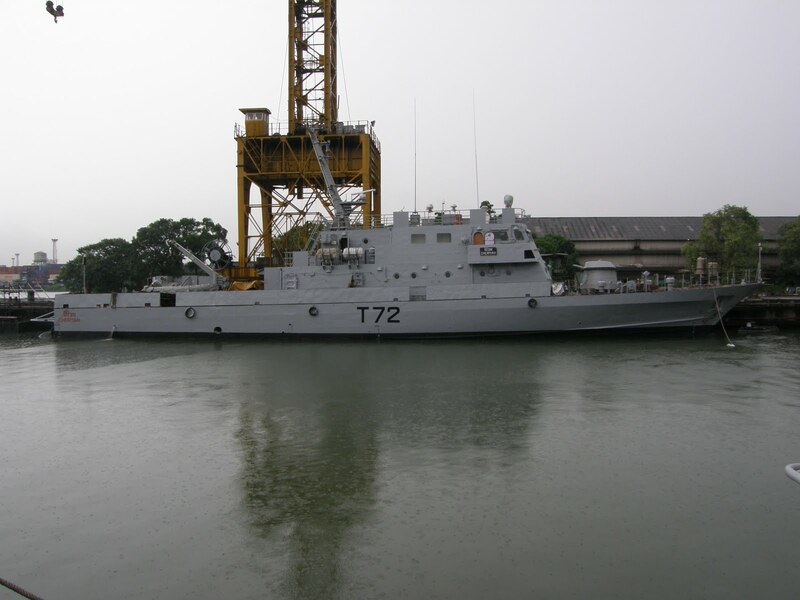 In March 2013, the IN contracted GRSE for the construction of four improved variants of the ‘Car Nicobar’ class, as a result of the force’s Follow-On Water Jet FAC (FOWJFAC) programme. These improved ‘Car Nicobar’ class FACs are built with an aluminium superstructure that significantly reduces their radar cross-section, as well as a low draft to ease operations in shallow coastal waters. With a length of 48m (157ft), a displacement of 325 tons and powered by three MTU 16V 4000 M90 diesel engines, these vessels can achieve a top speed in excess of 35 knots (64.8km/h). In terms of armaments, the overall ‘Car Nicobar’ class carry a Medak CRN-91 30mm auto-cannon, two 12.7mm heavy machine guns, and KBM 9K38 Igla infra-red guided Surface-to-Air Missiles (SAMs). So far, only the lead ship in the improved ‘Car Nicobar’ class, the INS Tamugli has commissioned (May 2016), with the INS Tilanchang, INS Tihayi and INS Tarasa all being launched netween June 2015 and June 2016, but yet to commission. The author contacted GRSE for additional information regarding the estimated commission dates for these latter three vessels, but received no response before AMR went to print. Much like its regional neighbour, Indonesia is particularly concerned about maritime piracy in its coastal waters. The same map from the IMB shows that a significant quantity of pirate attacks take place in the Strait of Malacca. As such, the Indonesian Navy (Tentara Nasional Indonesia-Angkatan Laut/TNI-AL) already operates a fleet of three PT Palindo Marine Industries’ (PT PAL) ‘Clurit’ class FACs, which were commissioned between May and September 2014. General media reports announced, on 9 March 2016, that the TNI-AL had placed an order to acquire a fourth ‘Sampari’ class vessel from PT PAL. Although not confirmed by the company, AMR estimates that this new ship could be launched and commissioned by 2020. The ‘Sampari’ class vessels are 59.8 metres/m (196.1 feet/ft) long, have a maximum speed of 28 knots (51 kilometres-per-hour) and can reach a standard range of 2400nm (4444.8km) at 20 knots (37km/h). Further reports, on 18 April 2016, also indicated that the TNI-AL had selected the Chinese-developed AK-730 Close-In Weapon System (CIWS) for the first two already operational vessels; KRI Sampari and KRI Tombak. 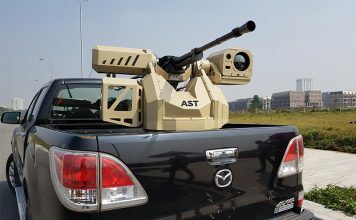 The AK-730 turret will supplement the ships’ China Aviation Industry Corporation C-705 Active Radar Homing (ARH), infrared and television-guided anti-ship missile and solitary Bofors/BAE Systems 57mm main gun for ASuW. As of September, a new Chinese Combat Management System (CMS) was also being fitted to the KRI Sampari and KRI Tombak, alongside the AK-730 CIWS. These is no publicly-available information regarding the exact designation of CMS although the AK-730 CIWS and CMS was reportedly fitted to both ships as of September. Similarly, there have been no reports as to when the third vessel in the class, the KRI Halasan may receive a similar upgrade, and PT PAL did not respond to several requests for information to this end. Much like Indonesia and India: “Pakistan is concerned about the Indian Navy’s increasing assets,” says Mr Caris: “and by the intrusion of large Indian Navy combatants in Pakistani waters.” These factors have encouraged Pakistan to perform a navy modernisation of its own. The country has embarked upon naval modernisation at a price the force can afford. To this end, the PN has ordered three ‘Azmat’ class FACs. The first-in-class, the PNS Azmat, was developed by two PRC shipbuilders; the China Shipbuilding and Offshore Company (CSOC) and the Xingang Shipyard, with the first example commissioned in April 2012. Following a transfer of technology agreement with the two companies, Pakistan began construction of the two remaining ships at the Karachi Shipyard and Engineering Works (KSEW). The ‘Azmat’ class are 63m (206.6ft) long, have a displacement of 560 tons, and can reach a maximum speed of 30 knots (55km/h) and have a range of 1000nm (1852km). They are armed with a 25mm autocannon of an unknown type and a KBP AK-630 CIWS to protect the ship from incoming AShMs, and are fitted with two quadruple missile launchers to fire eight China Haiyang Electromechanical Technology Academy C-802 family ARH AShMs. The second vessel, the PNS Dehshat, was commissioned in June 2014, whereas the third vessel, which commenced construction in April 2015, was launched on 17 September 2016, according to a KSEW press release from 12 September. Away from South Asia, the Republic of Korea’s (ROK) security concerns are primarily fixated on the Democratic People’s Republic of Korea’s (DPRK) “growing fleet of assault hovercraft,” such as their ‘Kongbang’ class assault hovercraft, says Mr. Fisher. 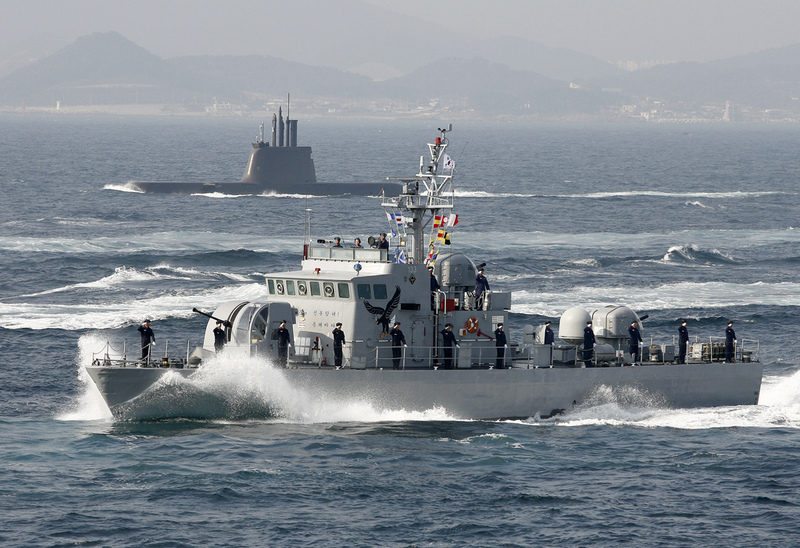 In this context, and in addition to concerns regarding non-traditional threats in its coastal waters such as piracy and smuggling, the ROK Navy (ROKN) has launched a significant FAC programme. In July 2015, general media reports indicated that the ROKN planned to acquire an initial batch of 16 ‘Chamsuri-211’ class FACs. which are being built by Hanjin and have a displacement of 210 tons and an overall length of 44m (144.3ft). They can reach a maximum speed of 40 knots (74km/h) thanks to Combined Diesel and Gas Turbine (CODAG) propulsion. 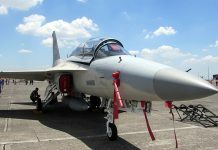 Few details have emerged regarding their armament, beyond reports that the design is equipped with a twelve-barrelled multiple launch rocket system for 130 mm rockets, as well as a 76 mm naval gun and two remote-controlled 12.7 mm machine guns; all of unknown types. The first vessel, the name of which has not been published, was reportedly launched on 28 July 2016, and is slated for commissioning in 2017. 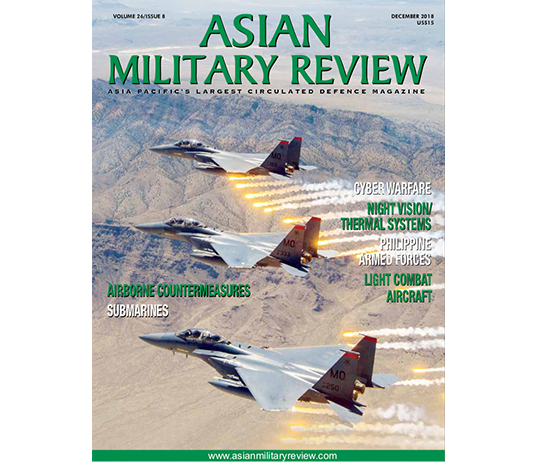 Staying in East Asia, the ongoing expansion and modernisation of the People’s Liberation Army Navy is a primary concern for Taiwan. 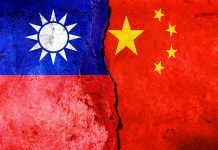 The PRC has claimed Taiwan as its own since 1949, and as recently as 25 June 2016, the PRC suspended diplomatic contact with Taiwan over renewed tensions regarding the latter’s sovereignty. As such: “due to their close proximity plus the excellent bang-for-ratio (offered by FACs), Taiwan will sustain its longstanding interest in FACs,” says Mr Fisher. To do so, however, the Republic of China Navy (ROCN) is also attempting to move away from its dependence on the US for warships, circa 30 of its surface combatants have been supplied by Washington DC, and is working toward the development of an indigenous shipbuilding industry that could fulfil at least some of its needs. Local media reports stated that the ROCN Programme Office, which oversees procurement for the Navy, announced in June 2016, a major indigenous development programme, worth $14.7billion and spanning over 23 years. This would appear to include the production of additional catamaran-hulled Lung Teh Shipbuilding ‘Tuo Jiang’ class FACs. Although the ‘Tuo Jiang’ class’ 500 tons displacement, technically classify this design as a large FAC, the class is referred to as a corvette by some sources. This is most likely due to the fact that it is more heavily armed than most FACs, possessing a Leonardo/OTO Melara 76mm main gun and a Raytheon Phalanx 20mm CIWS, as well the ability to deploy Chungshan Institute of Science and Technology Hsiung Feng-II/III ARH and IR guided AShMs, and two torpedo launchers. Local sources revealed in February 2015 that the ROCN was interrupting the trials of the solitary, eponymous ‘Tuo Jiang’ class vessel because a number of design flaws prevented it from achieving its full capabilities. As such, media reports indicated that as part of the new programme announced in June 2016 and discussed above, the ROCN presented a new iteration of the ‘Tuo Jiang’ class, although no further details have been released regarding this vessel, how many of these new vessels could be built, their specification, or when deliveries of these vessels may commence and conclude. Like Taiwan, Vietnam is concerned regarding maritime tensions with the PRC. It is one of five countries (including Brunei-Darussalam, Malaysia, the Philippines and Taiwan) which have been involved in disputes with the PRC regarding maritime and territorial claims relating to the Paracel and Spratly islands in the South China Sea. As such, the Vietnam People’s Navy (VPN) has been attempting to expand and modernise in the past few years, although many of its ambitions are limited by a constrained budget. In these circumstances, FACs present a significant asset for the VPN to protect its territorial waters. As such it has acquired six ‘Molniya’ class missile armed FACs. The ‘Molniya’ class are a development of the Soviet/Russian ‘Tarantul’ class corvette. They displace 510 tons and an overall length of 56.9m (186.6ft). They are armed with one Kalashnikov AK-176M 76mm gun at the front and two Kalashnikov AK-630M 30mm guns at the rear, as well as Tactical Missiles Corporation Kh-35 Uran-E AShMs. The ‘Molniya’ can also be fitted with twelve 9K38 SAMs if increased protection for the crew from enemy attack aircraft, cruise missiles and unmanned aerial vehicles is necessary. The VPN’s first two vessels were built in Russia at the Vympel Shipyard, and delivered in 2007 and 2008. The third and fourth vessels were built in Vietnam under licence at the Ba Son Shipyard and were commissioned by the VPN in September 2015. The fifth and sixth vessels were launched in April 2016. Regarding the FAC market in the Asia-Pacific: “small monohull designs remain popular such as the ROKN’s new ‘Chamsuri-211’ class,” says Mr. Fisher, but the market is also seeing an increase in programmes for: “somewhat larger ship-killer catamaran designs like Taiwan’s ‘Tuo Jiang’ class, which can operate in swarms or as part of large formations,” he continues. While: “more blue water oriented navies focus on building bigger, larger combatants, like offshore patrol vessels,” says Mr. Caris, FACs will continue to remain as key assets for navies having to find compromises between traditional and non-traditional coastal threats in some cases within constrained budgets. Meanwhile, new generation FACs will continue to develop as “advances in (command and control), propulsion, materials, radar cross section reduction and weapons are enabling the development of slightly larger FACs that are able to perform long-range anti-ship or even land attack missions,” continues Mr. Fisher. 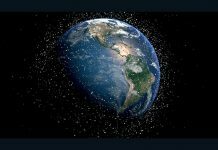 He added that “we should expect that energy weapons like naval lasers and electromagnetic rail guns could enable the FAC to evolve … perhaps even assisting anti-ballistic missile missions” in the future.